I love this app! And I’m still learning to use it on my own and it’s going pretty good. I’m not to sure what else you want me to say but I just love this app! Just like all anonymous apps, it’s filled with creepy dumb people. Uninstalled after 5 minutes of use. 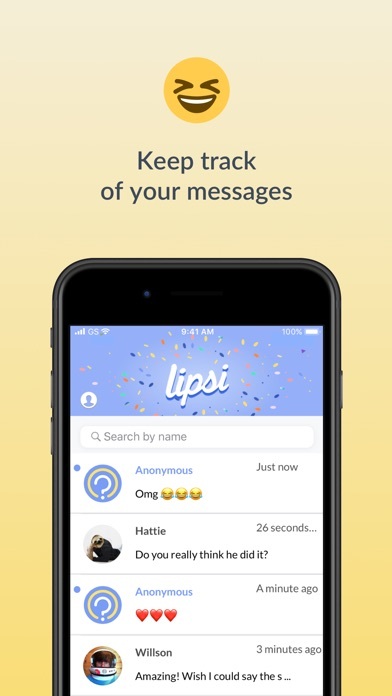 Every time i go and post about my lipsi and some people swipe up and i go to the app to check them they aren’t there. I see the notification but on the app it’s not there, this gets very annoying and i’m very tired of it. i want to keep using the app but if it’s going to be like this where i can no longer see the messages i don’t want to use this app. Lipsi please fix this. I was using the app for a long time and all of the sudden it wouldn’t load my messages. I logged out and then when I tried to log in it kept saying to check my internet connection and so I turned of my internet and used my mobile data and it still wouldn’t let me log in. Help! Hello Lipsi! No,I do not have lipsi but I feel like it’s my right to at least bring this up. My friend let’s just called her, “Audrey” Audrey was my best friend still is. We were best friends and no this isn’t a story time lol.Anyways, We were best friends and I noticed one day she stopped talking to me like she used to.I noticed on different social media’s she was putting links for lipsi. Then I pressed and found out it was anonymous messaging. 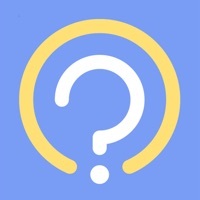 I didn’t know the app that good but I didn’t think much of it. Then I noticed 3ish weeks later she was different...She wasn’t her normal self. One day when she went away I went on her phone just to be funny and post myself on her socials messing around. Then I noticed her notifications were on. I use this app a lot for my friends to joke around with me and stuff. But sometimes nothing comes through. My friend told me she sent me something and I was confused because I didn’t get anything so I tried sending myself one and it never came through. Then I asked more friends to send me stuff because it’s not working and when I open the app, it shows for about a second and randomly disappears. Please fix this, other than that, great app. Ever since the new update messages you recieve are notified more than once, you cannot respond to some messages and the app is all around buggy. 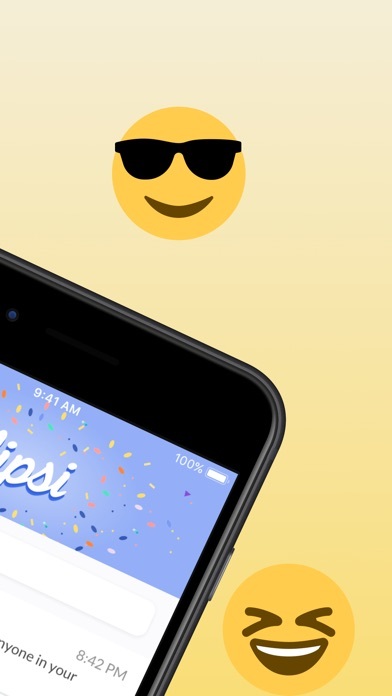 I have always used Lipsi with Snapchat but now every time I click on the app when it says ‘Lipsi’ it cuts it in half and makes the word over lap each other. When I click on the messages they disappear and it is extremely glitchy and I don’t receive some messages until days after they are sent. It is starting to cause an issue to where I can not use the app anymore because it will not load the messages and it won’t send them until days later. IT DOESN'T WORK FOR ME! Every time i get to make a username it stay on that for like 5 minutes and restarts, PLEASE HELP ME I WANT TO GET BACK IN IT! Ok this app is really fun to use but I wish there was a way to reveal someone also what does it mean when for like the tittle messages some are blue and others are black and bold???? Every month there is a new bug and no update Lipsi has put out ever fixed any of these bugs. I’m sure Lipsi is used mot often by teens but soon many teens are going to leave because I’m a teen too and knowing teens we aren’t very patient so please fix the problems and soon if possible or we may have to switch to Sarahah. Completely awful! 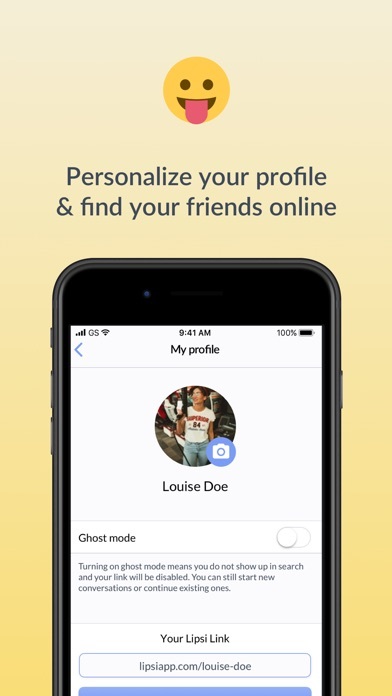 App shares your info and gives people outlets to bully and be disgusting human beings! Recently downloaded this app and the messages came in. However, the messages are not in the app. I got the notifications and clicked on them and they disappeared. I tried deleting and downloading again, still nothing. If this was fixed it would be 5. Whenever I go into the app my messages are never there. What do I have to do to fix this? i love the app, but yesterday i got a message my friend sent to me seven. months. ago. it took seven months to get to me. and today i got a message about something i had three months ago. if you fixed this i would love it! 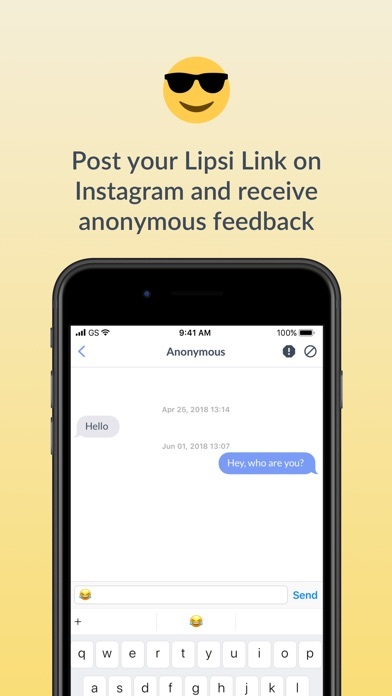 i understand how you may think lipsi get out what you have been wanting to say anonymously, but people share tons of negativity around through this app and it affects people. rumors are spread around through this app and you can’t even see who is spreading it. people say the lies because they think they can get away with it just because it doesn’t say their name. 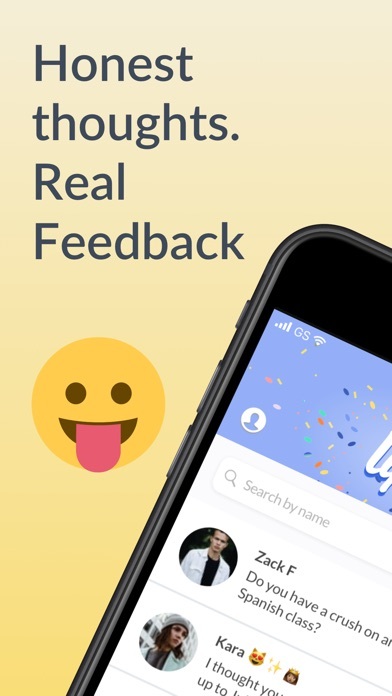 i think this app defeats the purpose of why it was created and that it shouldn’t be a plug for negativity. I capfuls not get passed the lipsi link part I was very frustrated with this app. I wouldn’t recommend it. This is awesome it gets people hooked and never know what is going to happen. It is very exciting and entertaining. Please fix the bug where the messages don’t show up. I get the notification for the message but when I go in the app it isn’t there. i have reported like 5 messages and still, it did not reveal them. I just want to know who hates me so much so i can move on.